trying to find out if it was custom made and if there is any way to get a hold of one? Forum member MW Staff had this made for his car. it looks like some thing that came with the car, im guessing a 2010+ saleen? I asked about this very same dash plate right after I got my Racecraft last fall, same answer. If you find out please post source. 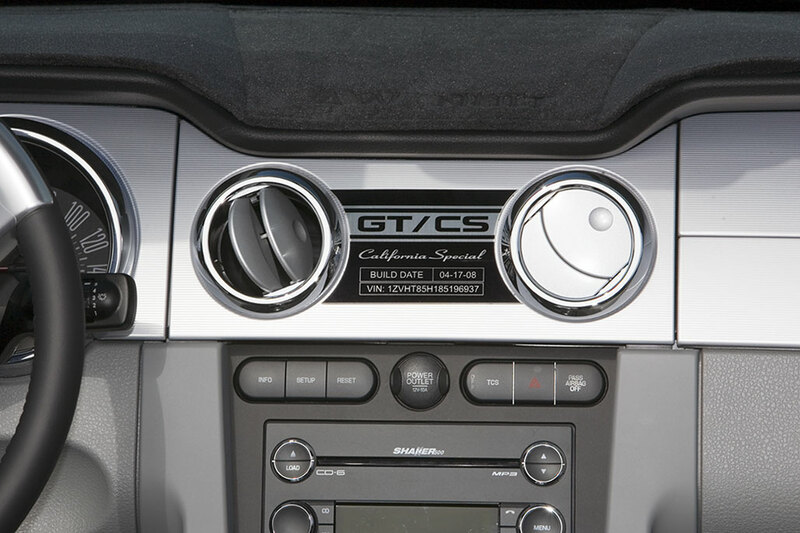 I just sent the info off to a guy that makes the GT/CS dash plaques. I am guessing they will be around $50 each. Not sure yet though. Here is a picture of the GT/CS plaques that he makes. I had a GT/CS before my Racecraft and inquired to him about making the Racecraft plaque to which he replied he couldnt make it, maybe he'll change his mind. Id be interested in something like this but for a Saleen of course. I need something to fill that wipe open gap between the vents and I cant figure anything else out that would look good. What has everyone else done? What has everyone else done? Have Steve Saleen place his signature there. I picked up my 08 Racecraft at Jacky Jones Ford, Swee****er, TN on a Saturday last October, drove it home to Alabama and washed it up. The next morning headed to Pioneer Ford in Georgia for the Regional Mustang show there because Steve Saleen was going to be there. He not only signed my car on the dash and radiator shroud but I won a second place in the Saleen class, a great day. 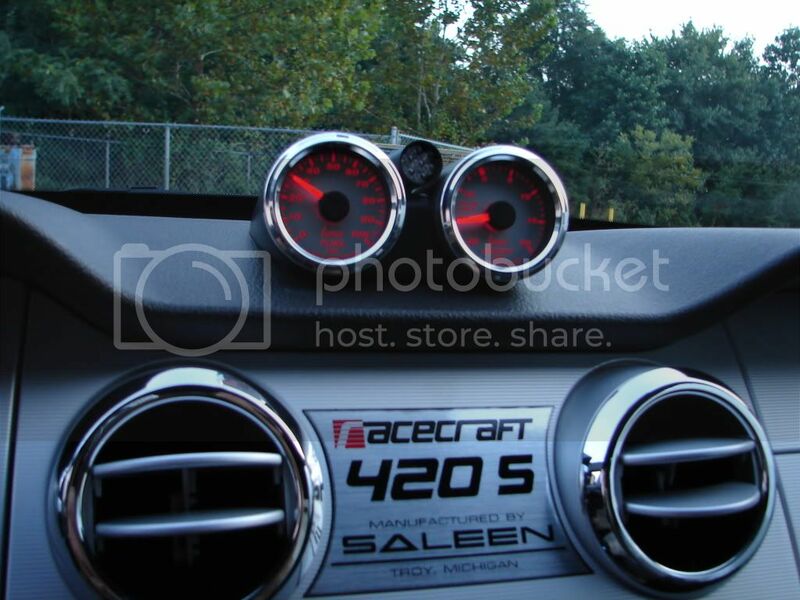 Currently I have about a 4 Inch round black sticker with "SALEEN" in silver across the middle residing in between the A/C vents, a RACECRAFT Plaque would be my choice if we can get one. My Racecraft is a daily driver and the best part of going to and coming home from work. Thats awesome. I would like one for my car. Any update on the dash badge ? ,I just got a 420s (09) would like to have one made for mine. thanks for any info. Gearhead, congrats on the purchase, you are going to love it. I havent done any recent research on a badge producer due to other busy work but maybe time to dig into it again. Will let you know if I come up with anything. Last edited by MW Staff; 11-18-2012 at 08:41 PM.